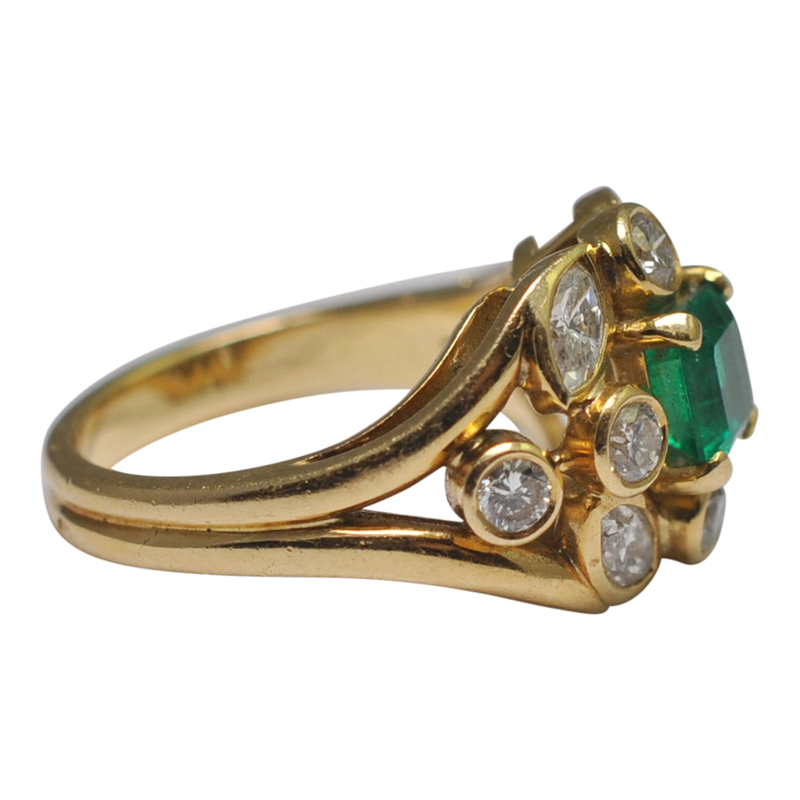 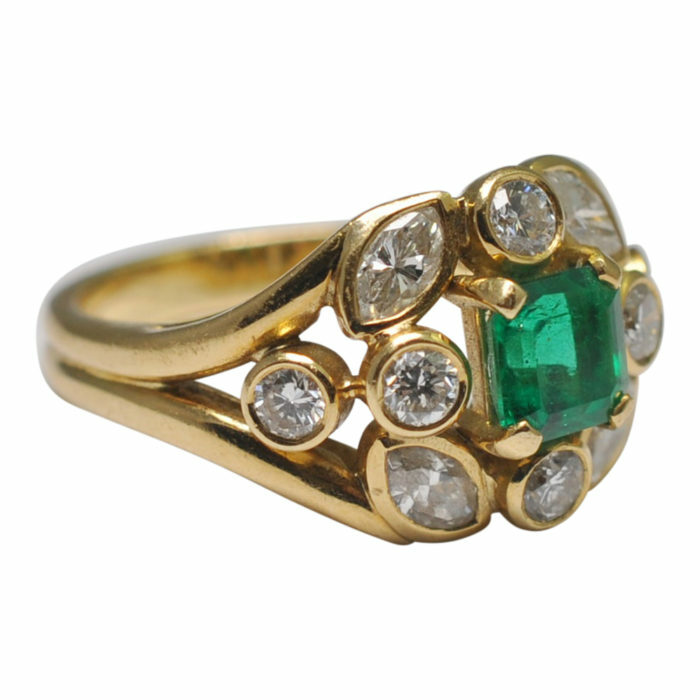 Certified Columbian emerald and diamond French ring in 18ct gold. 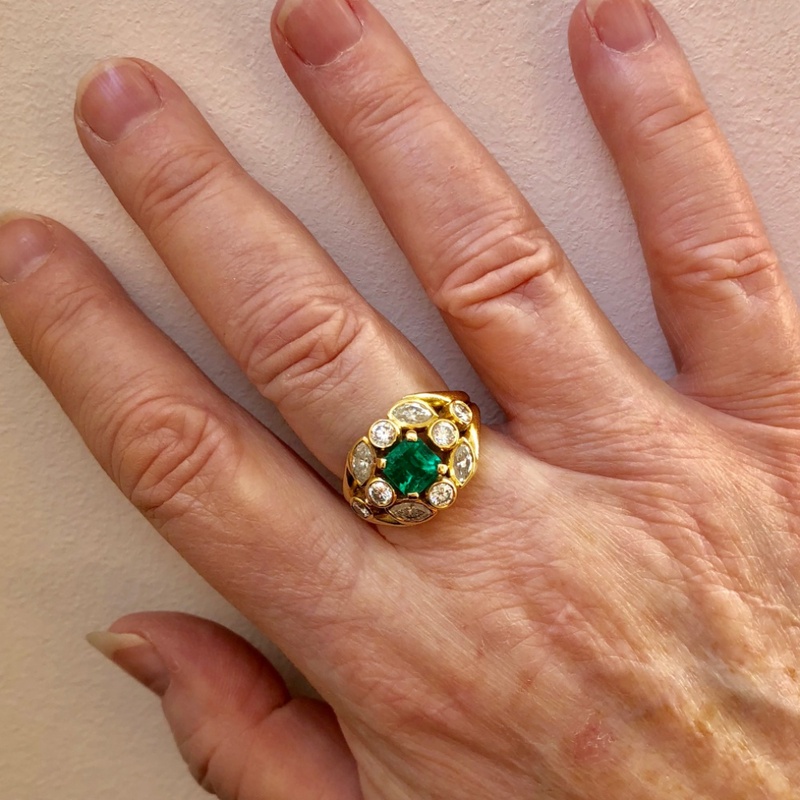 The emerald is a strong transparent green with blue tones, typical of Columbian stones; it weighs 1.15cts and is accompanied by an independent certificate stating it to be of Columbian origin with moderate clarity enhancement. 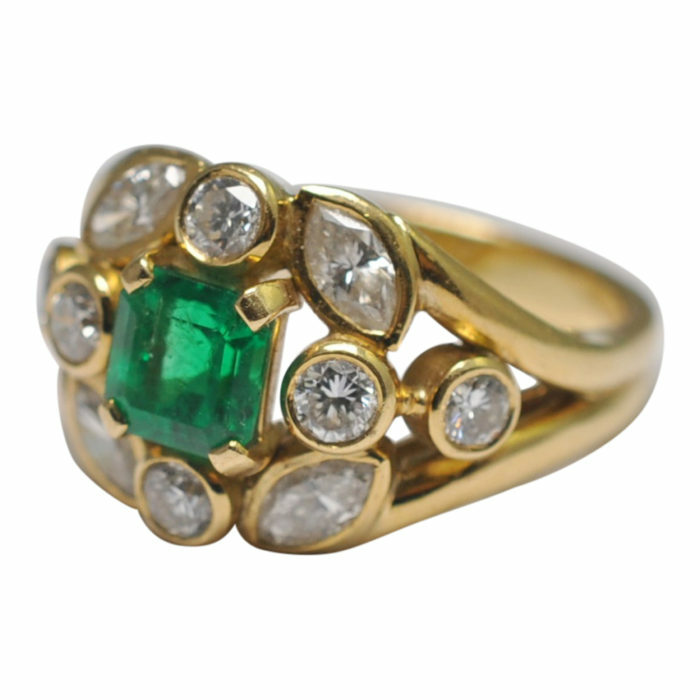 Most emeralds undergo clarity enhancement with colourless substances such as oils or resins. 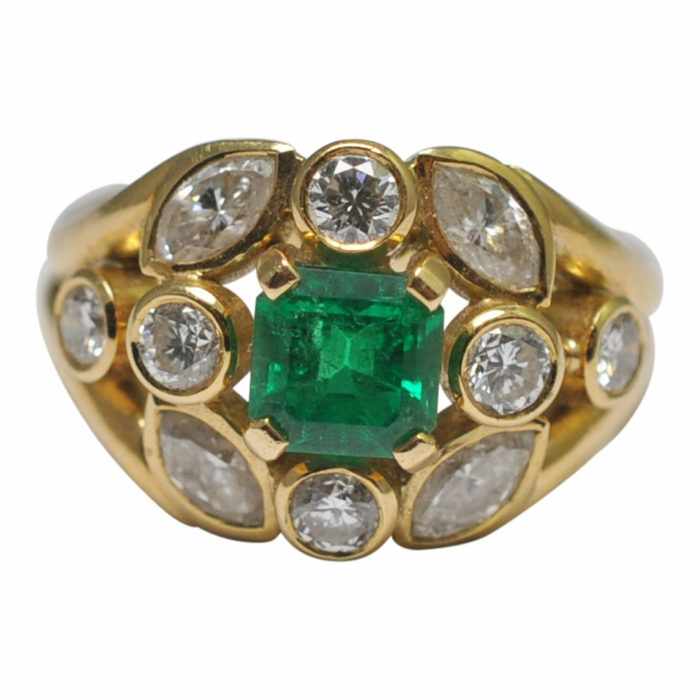 The emerald is surrounded by bezel set brilliant and marquise cut diamonds totalling 2.50ct. 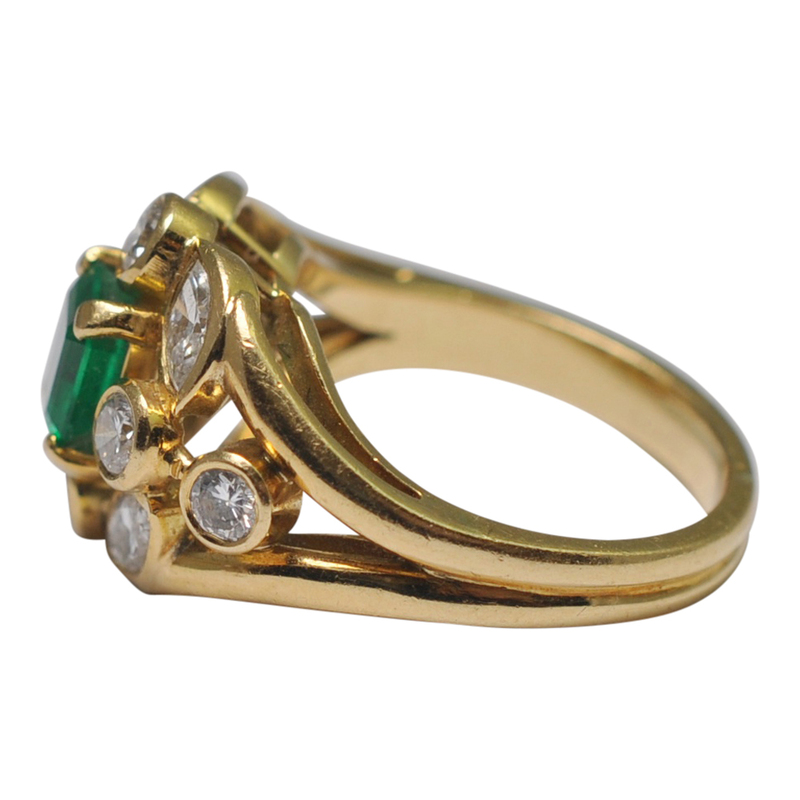 The setting is hand made in 18ct gold and has a double shank. 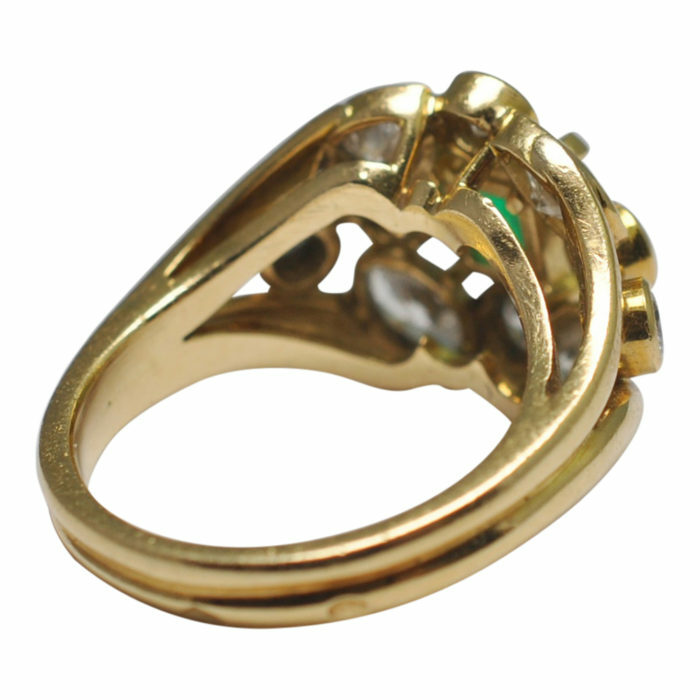 It is stamped with the French 18ct gold mark (Eagle’s head) and has a maker’s mark (indistinct). 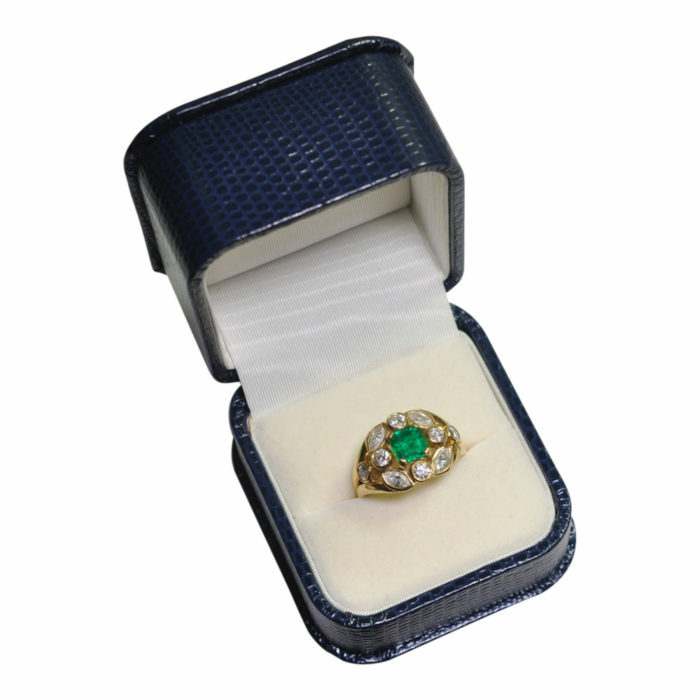 Weight 8.95gms. 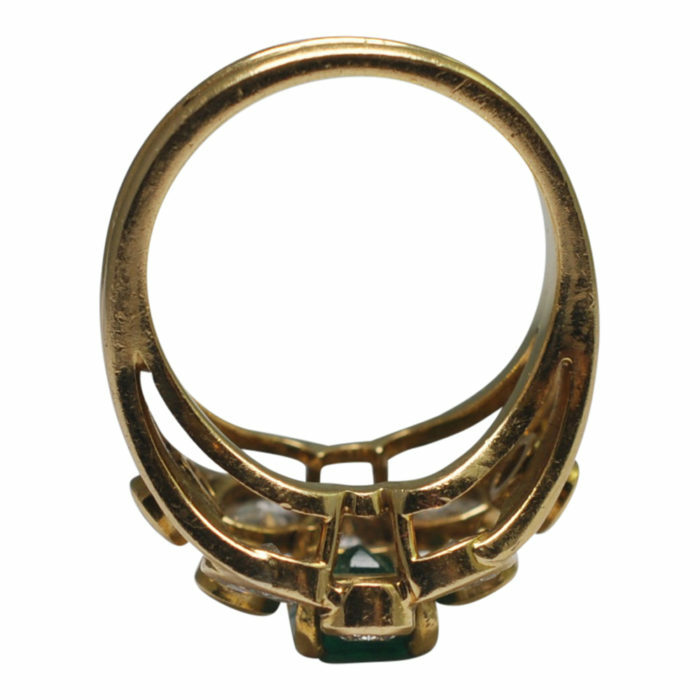 Measurements, width 2cm x height 1.4cm. 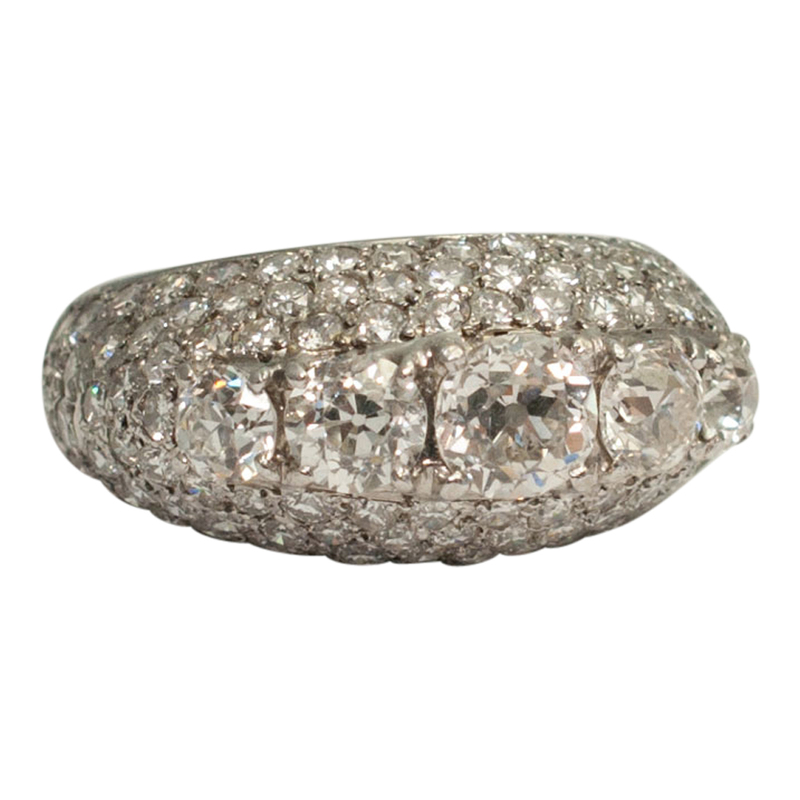 Finger size N (UK/AU), 6.75 (US), 54 (French) which we can resize for you if required. 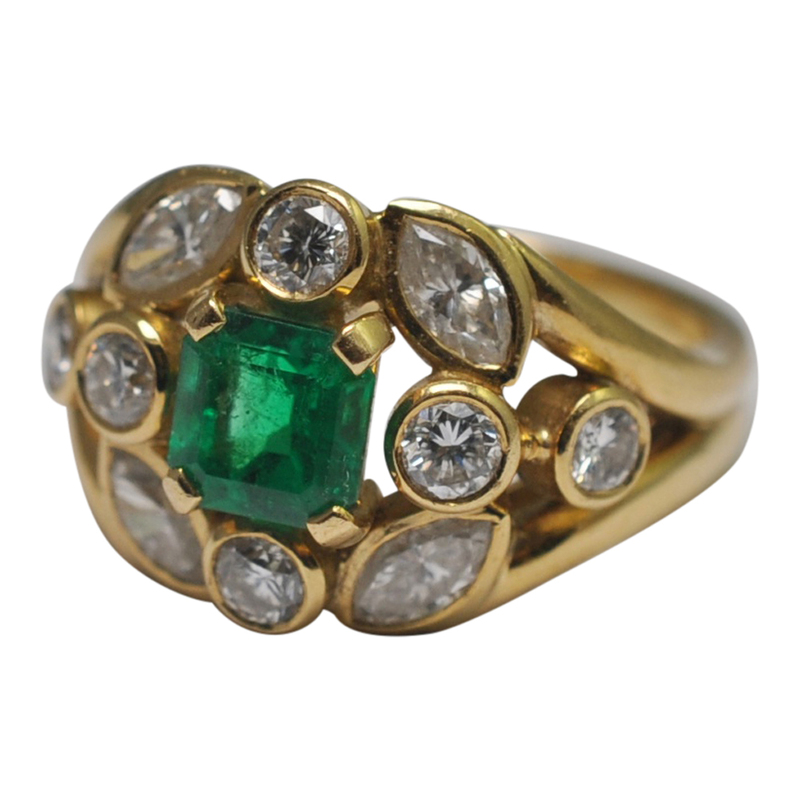 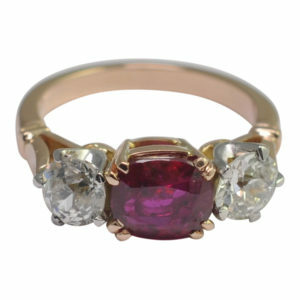 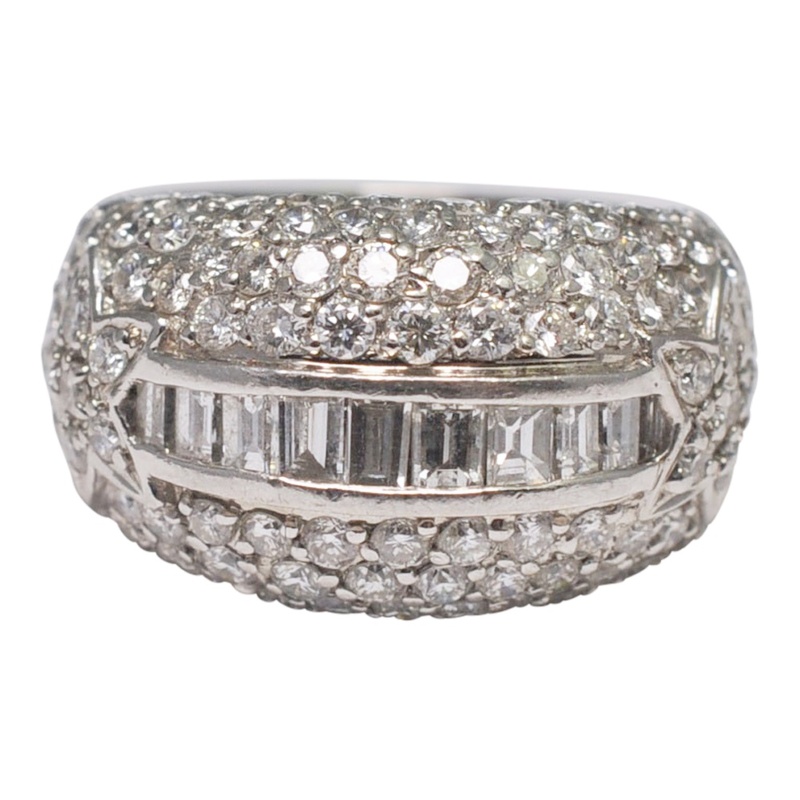 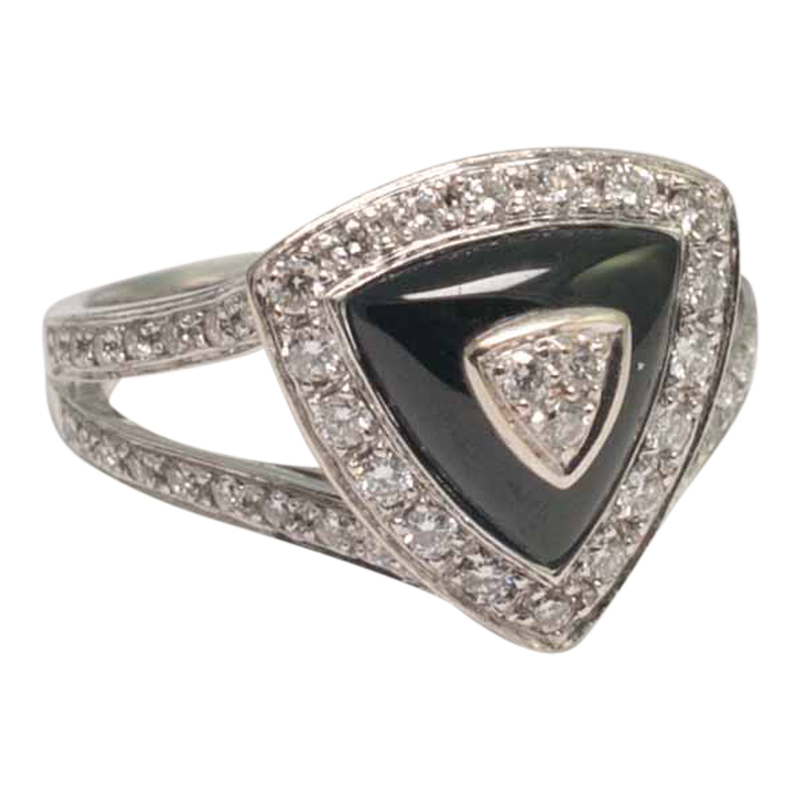 This lovely ring is in excellent condition and dates from the 1960s.